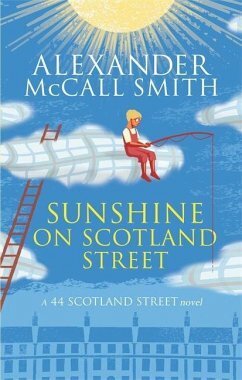 Scotland Street witnesses the wedding of the century of Angus Lordie to Domenica Macdonald, but as the newlyweds depart on honeymoon Edinburgh is in disarray. 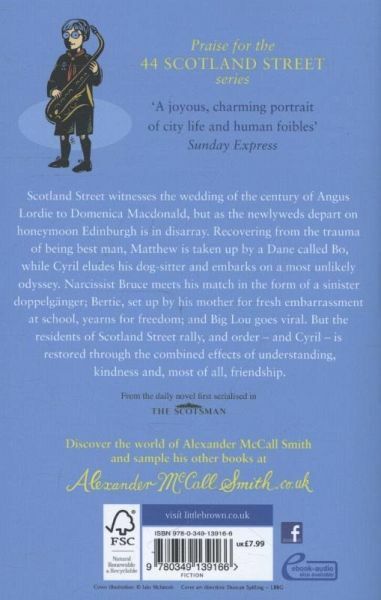 Recovering from the trauma of being best man, Matthew is taken up by a Dane called Bo, while Cyril eludes his dog-sitter and embarks on an odyssey involving fox-holes and the official residence of a cardinal. Narcissist Bruce meets his match in the form of a sinister doppelganger; Bertie, set up by his mother for fresh embarrassment at school, yearns for freedom; and Big Lou goes viral. But the residents of Scotland Street rally, and order - and Cyril - is restored by the combined effects of understanding, kindness, and, most of all, friendship.